It happens. You get an invitation to attend an event and the first thing that comes to mind is, "What am I going to wear?" 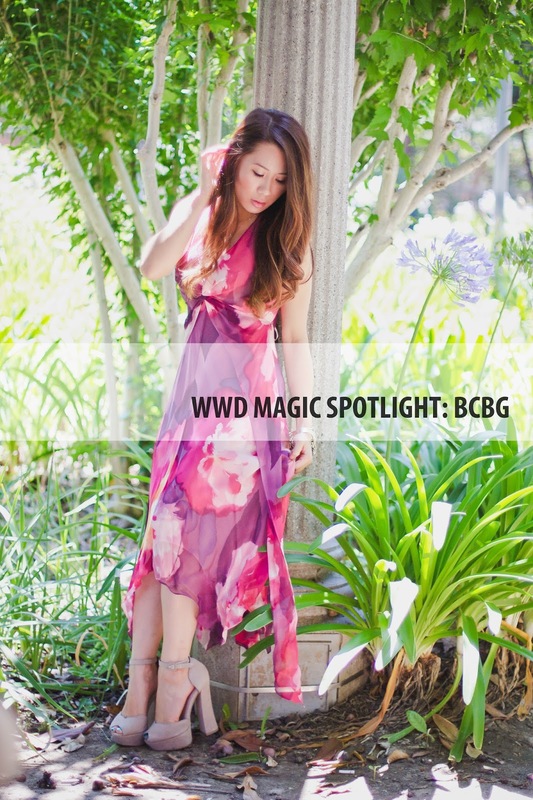 Well, if anyone knows me then they'd know that I am an absolute dress lover and one of my favorite brands from WWD Magic is - what else - but BCBG! I'm just going to say it: there's something magical that happens when you slip into a BCBG dress. You instantly fall in love. I'm serious! Maybe it's the vibrant colors or unique designs but it seems to exude glamour every time. Above I am wearing one of my favorite BCBG dresses. I love the color combinations and how it almost looks like a splash of art. So delicate and feminine yet still makes a bold statement. If you're going to get dressed, you might as well look your best right? No doubt without it, BCBG will definitely help you with that! Guess what else? 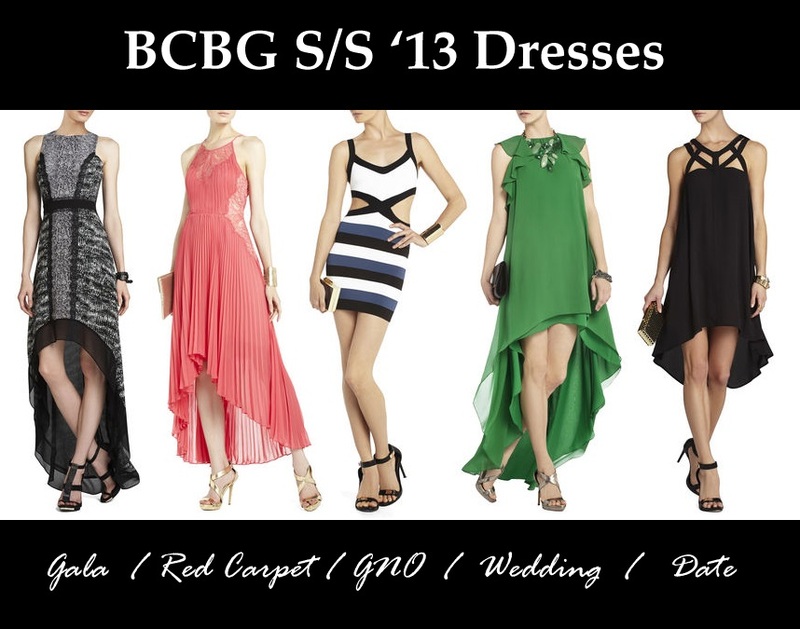 BCBG's Pre-Fall 2013 Collection is currently available for pre-order. Say what? So if you want to get a head start on next season's looks (consisting of lots of black and white pieces), then click here to view their new collection. Don't forget to also check out their amazing s-a-l-e going on right now with so many gorgeous dresses to choose from! Oh my, I've already got my eye on this beauty - yes, go ahead and charge it please. Let's face it, you can never go wrong with some of that magical BCBG charm right? Happy shopping everyone and stay glam!